My book, BeagleBone for Secret Agents, is now available. The title is slightly misleading as you need not be a secret agent to enjoy this book. 😉 There are five self-contained projects involving electronics, cryptography, and various software packages but I wanted to write a book that was more than just a collection of projects. In BBfSa, I tried to motivate the social and individual importance of using software like Tor, GPG, and OTR. While the projects are cool, IMHO, I’m hoping that readers will appreciate the need for and difficulty of developing privacy enhancing technologies. I picked projects that were explicitly more detailed than one could describe in a blog post. Most of them combine hardware and software and I would describe the projects as challenging, but attainable. If you decide to buy it hopefully you not only enjoy it, but learn something as well. The book is available as a DRM free eBook and as a bound collection of printed dead-trees. I’ve stopped reading with eBooks readers, but there are just over 100 references, most with URLs, and I can appreciate the convenience of using one. You can visit my BBfSa page to see its availability or buy it direct from Packt Publishing. Thanks to the many people at Packt who helped with the direction, editing, and layout. I was lucky to have very talented reviewers. 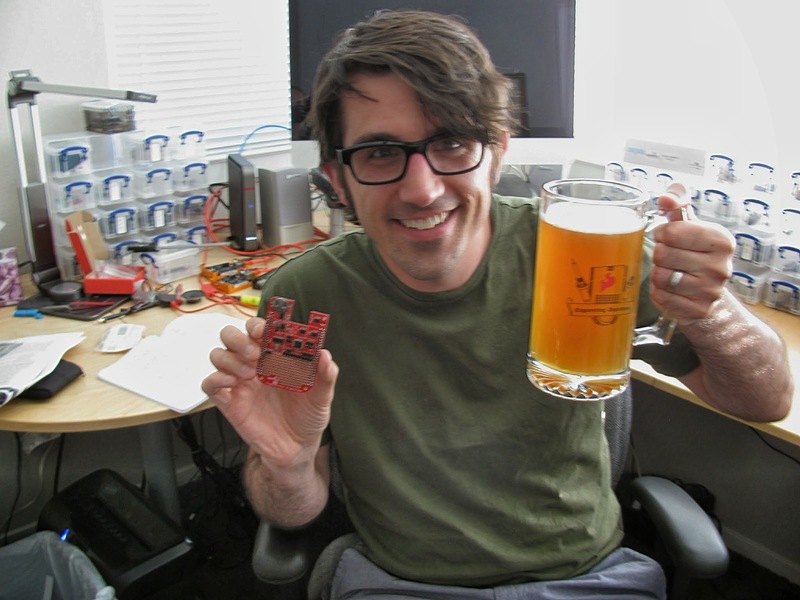 Lastly, thank you Nate for writing an incredibly insightful forward and to SparkFun, without whom the projects in this book would not have been possible. 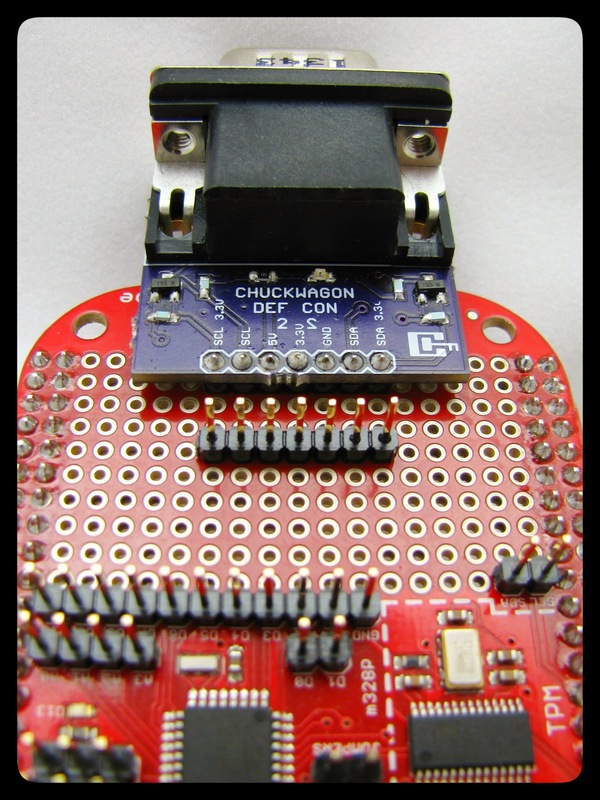 The schematic, EAGLE CAD files, and Bill of Materials for the CHUCKWAGON I2C adapter as presented at DEFCON22 are now available. You can buy the board directly from OSH Park, the components from Digikey, and solder the device yourself. 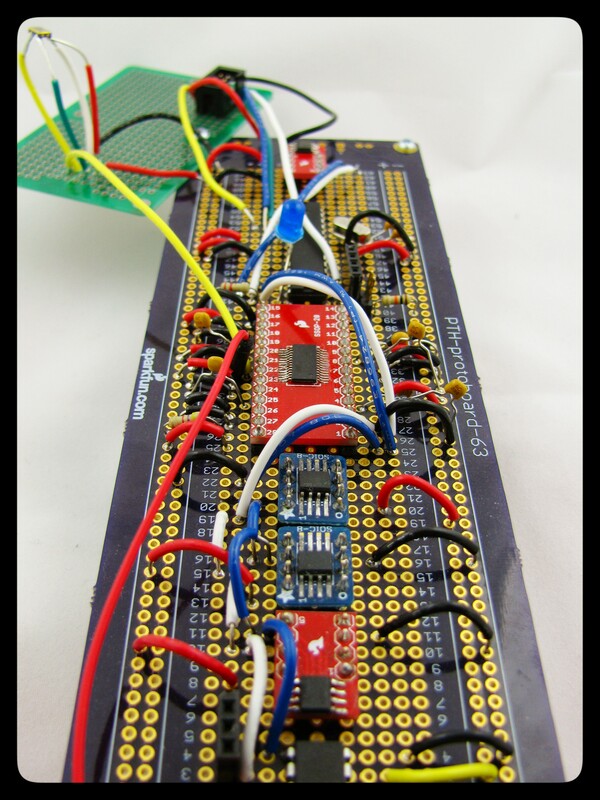 For those looking for some references on using I2C on the BeagleBone Black, check out my I2C references post. CHUCWAGON soldered to the CryptoCape. I soldered wires underneath and to the male headers just below the CHUCKWAGON. It does require surface mount soldering, but it’s a good board on which to practice. The top layer isn’t so bad but the pads for the P-channel MOSFET on the bottom are a bit tight. If you don’t want to deal with the P-Channel MOSFET, you can put a solder bridge over the source and drain and connect the 5V rail from the VGA adapter to the board. Just be careful not to get the gate, which will short the power rail to ground! Thank you very much for your fantastic donation this year! It’s clear how appreciated it was as it is now the highest valued item auctioned at the EFF summits… ever! My HOPE X slides are now posted. You can listen to the full audio of the presentation here. Thanks to everyone who attended! If you missed me at HOPE, you can catch me at DEF CON. My DEF CON 22 Talk, NSA Playset: DIY WAGONBED Hardware Implant over I2C, time is now posted on the DEF CON schedule. It’s Sunday at 11:00 am in Track 1. Be sure to stay for the NSA Playset: GSM Sniffing directly following! 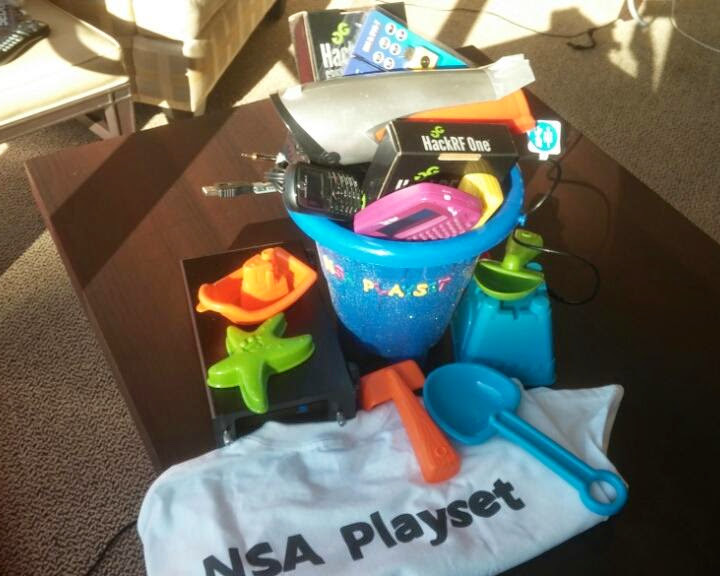 The NSA Playset talks have been receiving some attention in the press. You don’t want to miss them! In this talk we present an open source hardware version of the NSA’s hardware trojan codenamed WAGONBED. From the leaked NSA ANT catalog, WAGONBED is described as a malicious hardware device that is connected to a server’s I2C bus. Other exploits, like IRONCHEF, install a software exploit that exfiltrate data to the WAGONBED device. Once implanted, the WAGONBED device is connected to a GSM module to produce the NSA’s dubbed CROSSBEAM attack. We present CHUCKWAGON, an open source hardware device that attaches to the I2C bus. With the CHUCKWAGON adapter, we show how to attach an embedded device, like a BeagleBone, to create your own hardware implant. We show how to add a GSM module to CHUCKWAGON to provide the hardware for the CROSSBEAM exploit. We improve the WAGONBED implant concept by using a Trusted Platform Module (TPM) to protect data collection from the target. The talk will demonstrate how these features can be used for good, and evil! After months of work, the CryptoCape is now available at SparkFun Electronics. This cape adds a bunch of security features to the BeagleBone Black. There are seven independent ICs on that board that are connected over I2C. Each IC has a range of features as such, there’s a lot one can do with this hardware. For those who like to read, check out the hookup guide for examples and a walk-through. If you want to listen and watch an off-the-cuff screencast of me performing at demo, check out these screencasts. Me with the CryptoCape and a good German Beer. I’ve been having a lot of fun with this cape. Of course, I like the security ICs and written a few drivers for them. Even if you are not into security, the onboard ATmega is really fun. It can be flashed from the BeagleBone so you can combine Arduino projects with the Beagle! I have a few boards on Tindie, that I hand assemble, but this is the first device that’s being professionally manufactured. This is the first, of hopefully more, open source hardware security devices from Cryptotronix. I have a few projects spinning now, but if you support open source hardware, and want to add some hardware security, feel free to contact me. I’ll be talking more about the CryptoCape, how I got into this, and some project ideas at HOPE X in NYC this summer. I’m speaking at Hope X! I was selected to talk at the Hackers on Planet Earth (HOPE) conference this July 18th-20th in NYC! The talk is Friday, 9pm, in Olson. I’m honored and super excited to tell everybody about the Open Source Hardware hacking I’ve been doing for the last few months. 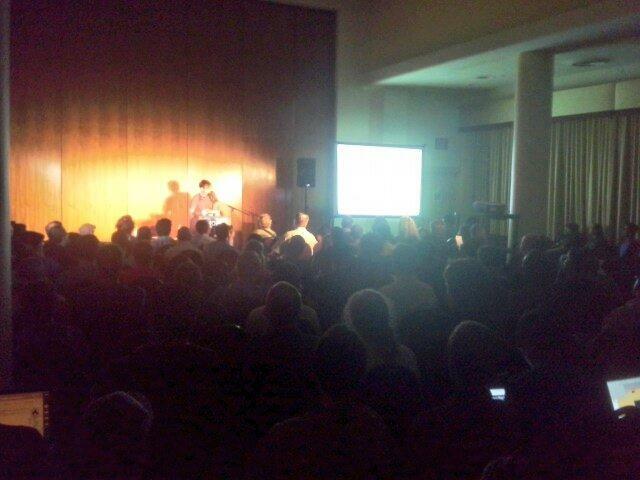 I attended HOPE 9 and it was filled with some very high quality talks; too many to attend. I’m absolutely thrilled to be on the speaker list. The title of my talk is: Crypto for Makers: Projects for the BeagleBone, Pi, and AVRs and below is the summary which I submitted. If you have been following my blog, or my company, you should have a pretty good idea of what I’m going to talk about. The main conference website is here and you can still buy tickets here. The keynote speaker is Daniel Ellsberg, the man behind the Pentagon Papers. I hope I don’t have to speak in his time slot. See you in NYC! As more devices join the Internet of Things, it is increasingly important that these devices remain protected from surveillance and compromise. This talk will show how to add specialized, commercially available, crypto Integrated Circuits (ICs) to improve the security of your BeagleBone, Pi, or AVR based platform. ICs such as a Trusted Platform Module, I2C authentication chips, and hardware random number generators will be discussed. The CryptoCape, an Open Source Hardware daughterboard, made in collaboration between SparkFun Electronics and Josh, will be presented in detail. Lastly, this talk will describe the experience of running a Tor relay on a BeagleBone Black for over 200 days. I will also have a booth at the Denver Mini-Maker Faire in early May if you are in the area. 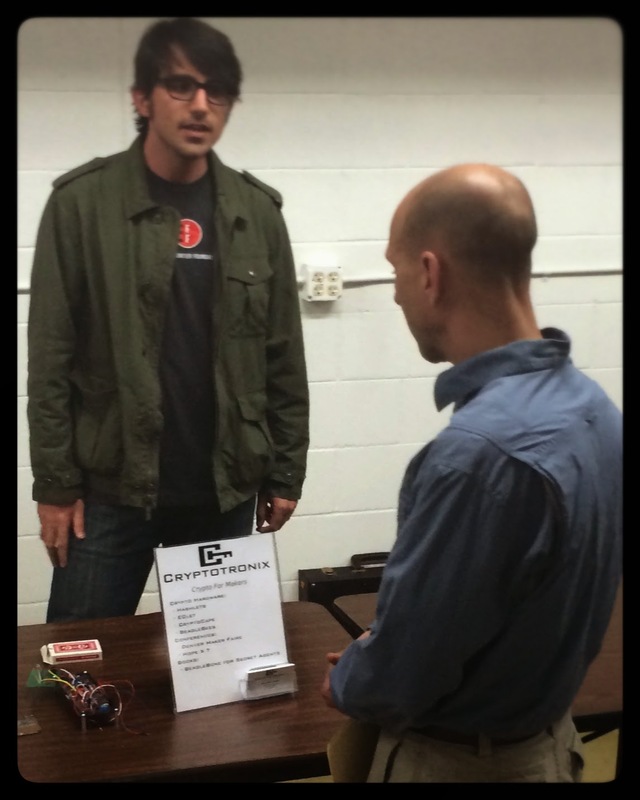 Yesterday I presented at Loveland CreatorSpace’s Make Show and Tell hosted by Aleph Objects. As always, I was impressed by everybody’s projects. There was a decent non-member showing as well as the word is getting out about LCS. By the way, we have a physical space now. Midway through the show-and-tell we receive a tour of Aleph Objects and saw the massive 3D printer array, which is printing parts for more 3D printers. Aleph gives tours frequently so if you are in the Northern Colorado area, you should really check it out. I was there talking about the CryptoCape and I had brought the first prototype with me. The board has certainly come a long way and there is plenty more to do. I really wanted a crypto board that was hacker-friendly and could be extended in various projects. I keep thinking about new ways to use the cape and I think it’s going to be a lot of fun for people. In other news, tomorrow is Arduino Day. Swing by SparkFun and pick up some discount Arduinos! I have my eyes set on the pro Minis.